While everyone was talking about the Chevy Volt and the Nissan Leaf, the forgotten manufacturer, Mitsubishi, quietly worked on its own electric car, the i-MiEV (the name seems more like one of Einstein’s formulas than the name of a car). While Nissan got a ton of press when the Leaf was released early this year, Mitsubishi released the much cheaper, smaller i-MiEV with little fanfare. And, while the Leaf is close to $36,000 and the Volt begins at $39,995, the i-MiEV starts at just $29,125 (not including destination fee) but before the federal tax credit. The i-MiEV (MiEV stands for Mitsubishi innovative Electric Vehicle, i stands for i) is a 4 door hatchback very similar in size to the new Chevy Spark. Both the i-MiEV and the Spark seat four passengers and are exactly the same length (144.7 in.) but the i-MiEV is rear-wheel drive. Rear wheel drive cars have pretty much disappeared from American roads with the exception of high performance cars like the Ford Mustang or Chevy Camaro or luxury cars such as those made by BMW. Rear wheel drive makes for better handling but front wheel drive usually allows for more interior space – no transmission hump – but doesn’t do as well in snow. The i-MiEV may be an exception because its electric motor is in the back above the drive wheels, like the original VW Beetle which was a bear in snow. What makes the i-MiEV standout is its EPA rating of 112 MPGe (miles per gallon equivalent). If you are wondering what MPGe is (I know I was), it is an attempt at rating a non-gas powered car as if it were gas powered. 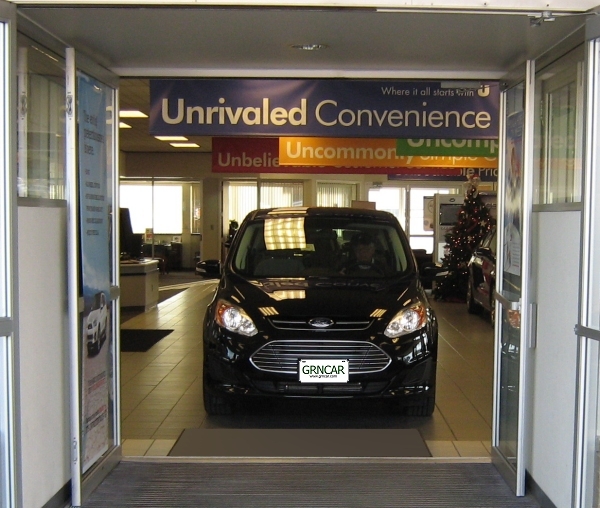 The goal is to give consumers a way to make a fair comparison between electric and gas cars. The EPA has determined that one gallon of gas is equal to 33.7 kilowatt hours and then they figure miles per gallon based on that relationship. I admire the attempt but debate its value. I think the EPA’s combined city/highway driving test will be of more value to anyone interested in an electric car. In the city/highway test the i-MiEV averaged 62 miles per charge. For the record, although the Leaf has a slightly lower MPGe it has an estimated range of 73 miles per charge because of its larger battery pack. What’s the i-MiEV like to drive? Apparently nothing special. Other reviewers have commented that the ride is harsh and unforgiving, acceleration weak and the handling poor. The i-MiEV does have a small turning radius which should make it easy to park. It is a very narrow car so passenger room is tight and because it is so short the back seat is both small and lacking in legroom. One advantage the i-MiEV has over some of it’s competitors is total cargo volume. Because the rear seats of the i-MiEV fold flat it has over 50 cubic feet for cargo; noticeably more than the Leaf. 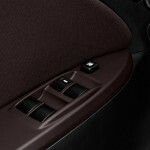 The bad news is when the rear seats aren’t folded flat the i-MiEV only has a relatively anemic 13.2 cubic feet. This is especially poor when compared to 14.5 cubic feet for the Leaf. The i-MiEV should be a relatively safe car (I say relatively because the i-MiEV is subject to the same laws of physics as any car and small cars are at a definite disadvantage when struck by larger cars — and just about any car is larger than the i-MiEV). The i-MiEV has six airbags: two dual stage front airbags and four roof-mounted side-curtain airbags for the front and rear passengers. Like most cars the i-MiEV has a stability control system to help the driver keep control of the car on slippery roads and anti-lock brakes to bring it to a quick stop. A nice feature in the i-MiEV is what Mitsubishi calls the Approaching Vehicle Alerting System (AVAS) it warns pedestrians of the cars presence. Mitsubishi is quite specific about the fact that the sound is audible to pedestrians outside the car rather than passengers inside. Toyota did the exact opposite with the 2010 Prius. The Prius emitted a warning sound only when put in reverse and only inside the car. People outside were left to fend for themselves. Mitsubishi says users should be able to recharge the i-MiEV in about 22 hours from a 110-volt outlet or about 7 hours with an available 240-volt charging station. For an all electric car like the i-MiEV or the Nissan Leaf the charging station is virtually a necessity — and not a cheap one — typically costing around $2000. The good news is that in some states rebate money is available for the charging station. And in all states the i-MiEV qualifies for a federal tax credit worth up to $7500 depending on the purchasers tax liability. (In other words, if you pay less than $7500 in federal taxes your tex credit will be less than $7500). However, if you lease the i-MiEV (or the Leaf or the Volt) you will get the full benefit of the tax credit immediately. 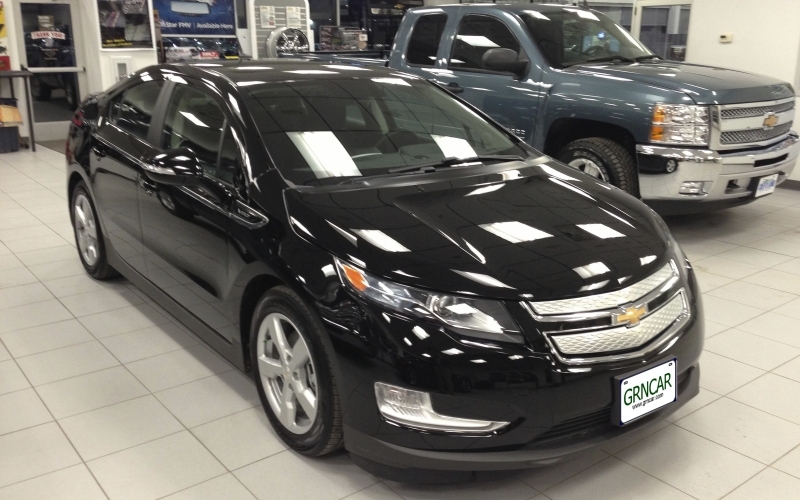 As is the case with any electric car, I strongly recommend leasing as opposed to purchasing. It’s true that if you lease and then at the end of the lease you end up buying your electric car you will end up paying more for it then if you had purchased the car outright. However, a lease protects you if your electric car plummets in value due to reliability problems, bad press, or falling gasoline prices. And if your electric car goes up in value you are also protected by the lease because your electric’s purchase price is determined when the lease is initiated, not when it ends. 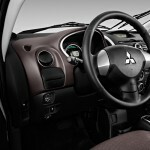 As the pictures in the gallery below show, the i-MiEV’s interior is not exactly luxurious. It’s pretty plain with a lot of hard plastic. Even the more expensive SE is fairly bleak, it adds padded cloth in a few places but still lacks a center armrest. And, when it comes to options, the i-MiEV takes a back seat to pretty much everyone. 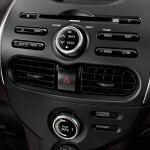 Unlike most other hybrids and electric vehicles the i-MiEV does not have automatic climate control. It does not have a remote app that allows pre-heating or cooling the car. It does not have, as standard, a battery warming system. The optional battery warming system is available as a $150 option on the base model or as part of the $2,790 Premium Package. The i-MiEV is over $6,000 dollars cheaper than the Leaf or the Volt and every penny of it shows. Keep in mind that even though the i-MiEV is much cheaper to buy, it costs about the same to lease as a Leaf or a Volt. Unless you are sure you are going to keep it, no matter what, leasing is the way to go. Drive the i-MiEV, drive the Leaf, drive the Volt and then lease the one you like best. I have a hunch it won’t be the i-MiEV. And nothing against Mitsubishi, I’ve owned several, as have my friends and family, they are generally well made cars that represent a solid value, but in this instance I just can’t imagine a scenario where i-MiEV equals profits for Mitsubishi. If you have any questions, feel free to leave a reply. I try to answer questions within 36-hours, often sooner. Estimated time to full charge w/charging station 7 hrs. 7 hrs. Estimated time to full charge using 110-volt power cord 22 hrs. 20 hrs. Curb weight 2,579 lbs. 3,385 lbs.